Oh Summer...things are beginning to come to an end. Frankly, I am getting a bit tired of watering the garden everyday. But that sunshine is still nice. Keep your distance Mr. Winter! 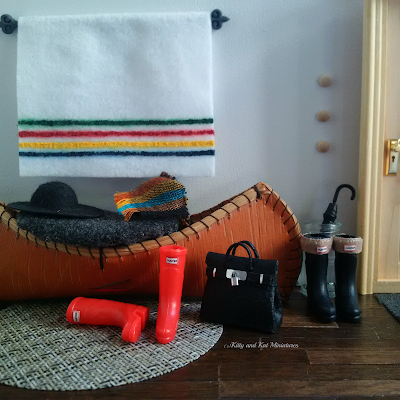 In a ode to Fall, I made a Canadiana mini scene. Nothing says Canada like using a canoe as a hall bench or using your Hudsons Bay point blanket as a wall hanging. But I quite enjoy my Hunter boots! Here is the Hunter boots how-to! Glue ribbon to boot. 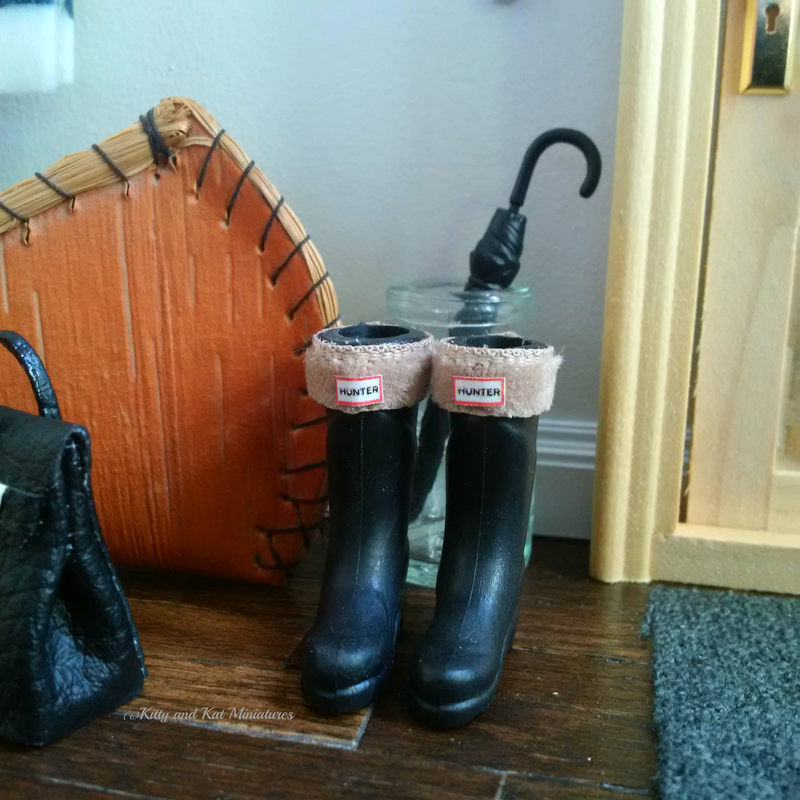 Glue logo to ribbon......or forgo the ribbon and glue right to the boot! That is not much of a how-to, but in case you were wondering, there you go! 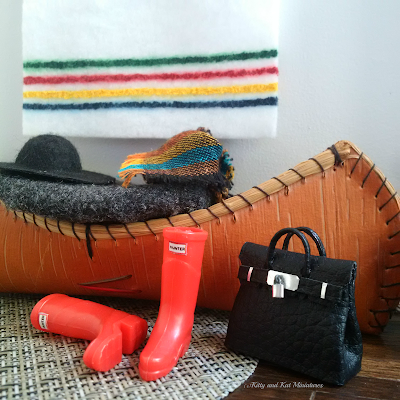 And then I had to laugh...and do a happy dance when I posted these to Instagram and Hudsons Bay liked my picture!